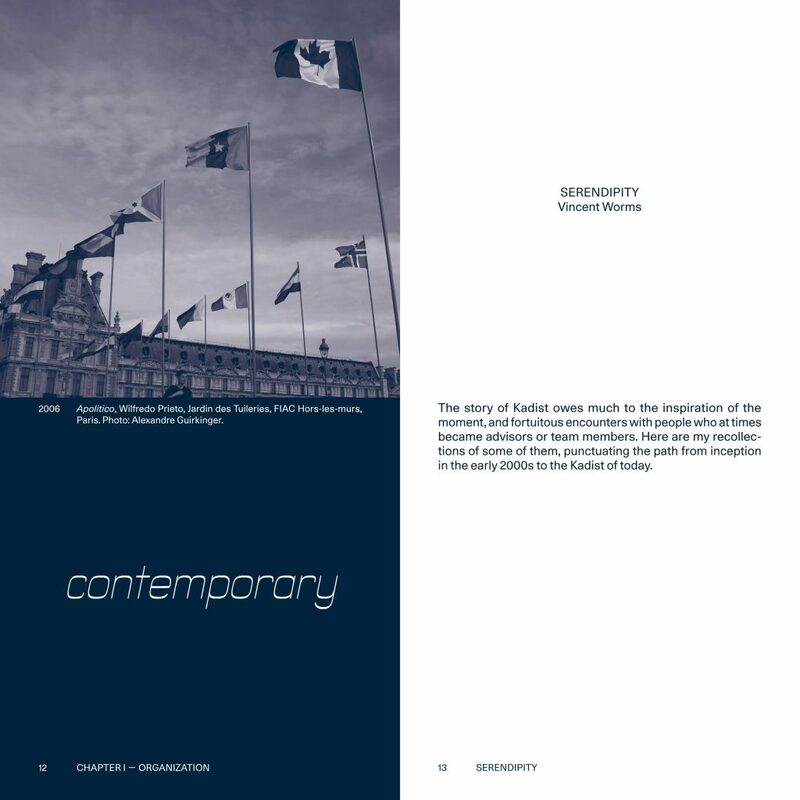 The publication is available at our offices in Paris and San Francisco, as well as in ePub and pdf. 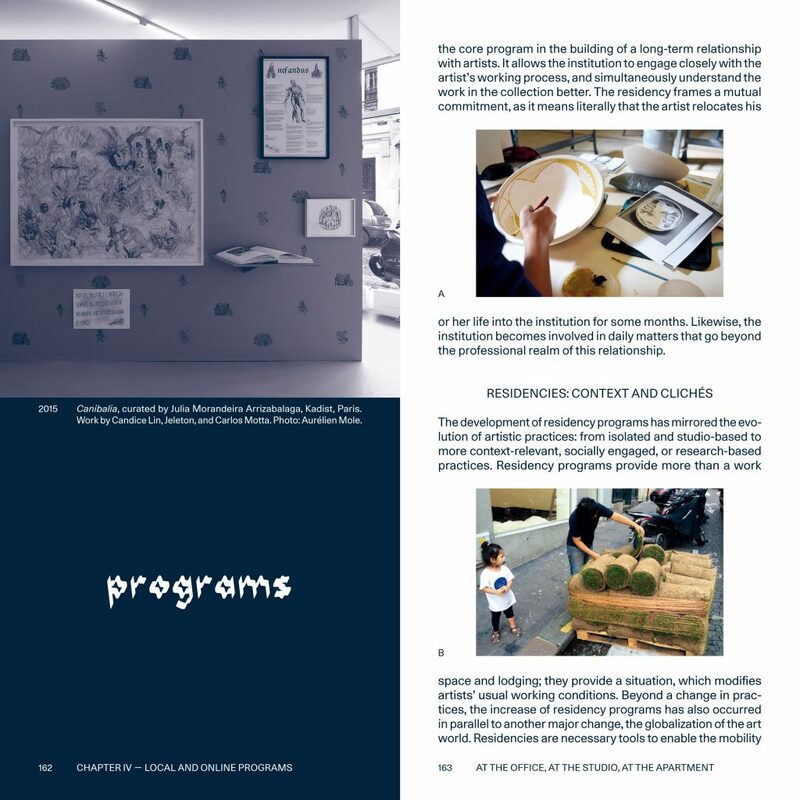 Offering an exploration of KADIST’s programs, this publication describes the organization’s way of working and its collaborative approach. 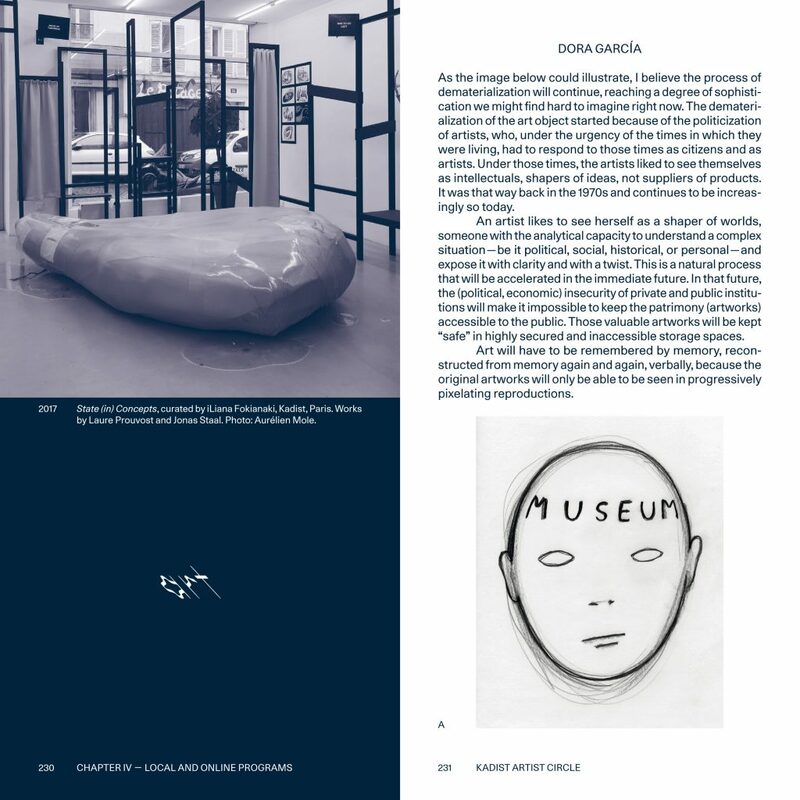 The aim of this publication is not to present a comprehensive archive, as our website does, but instead to collect a multiplicity of voices who have participated in the making of the organization and who speak from personal points of view: founders, advisors, team members, artists, and curators we have been working with since Kadist’s inception in 2001. 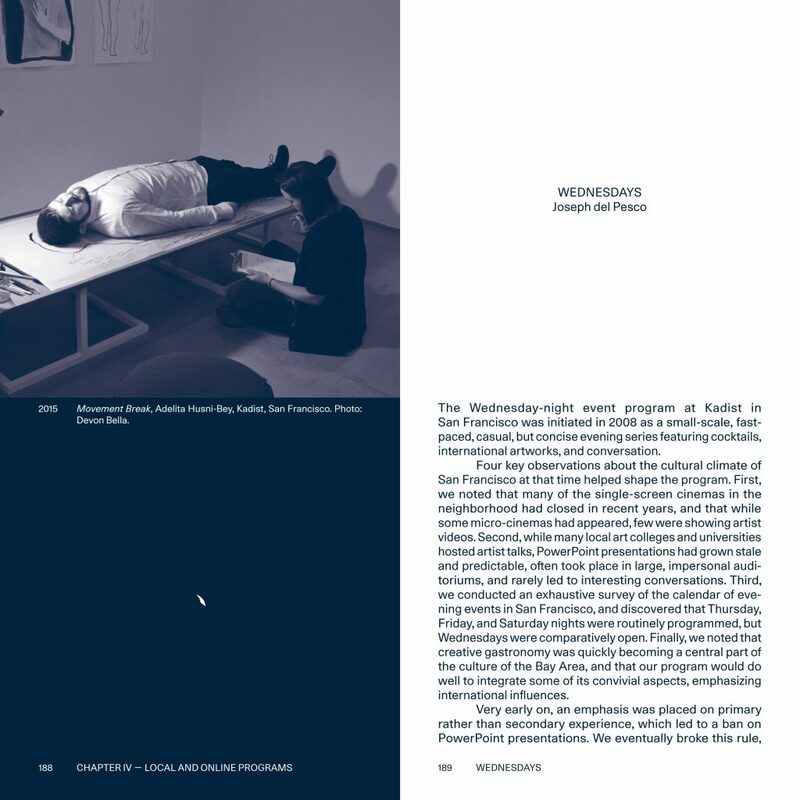 Alongside our mission statement running throughout the pages, is a series of exhibition views creating a visual timeline of Kadist’s exhibition history, each image documenting one Kadist project that took place in Paris, San Francisco, or across the globe. 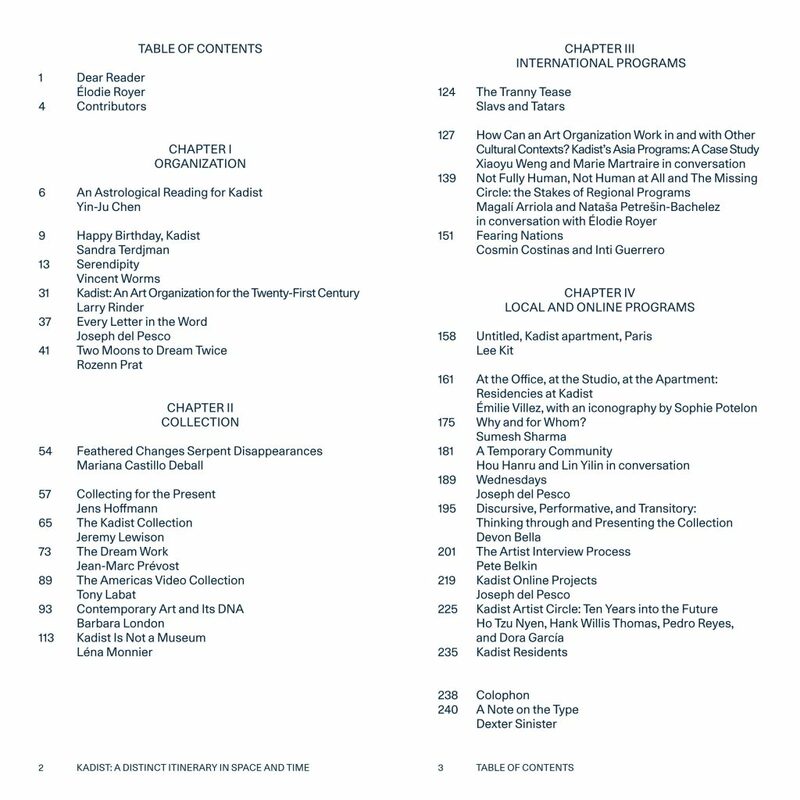 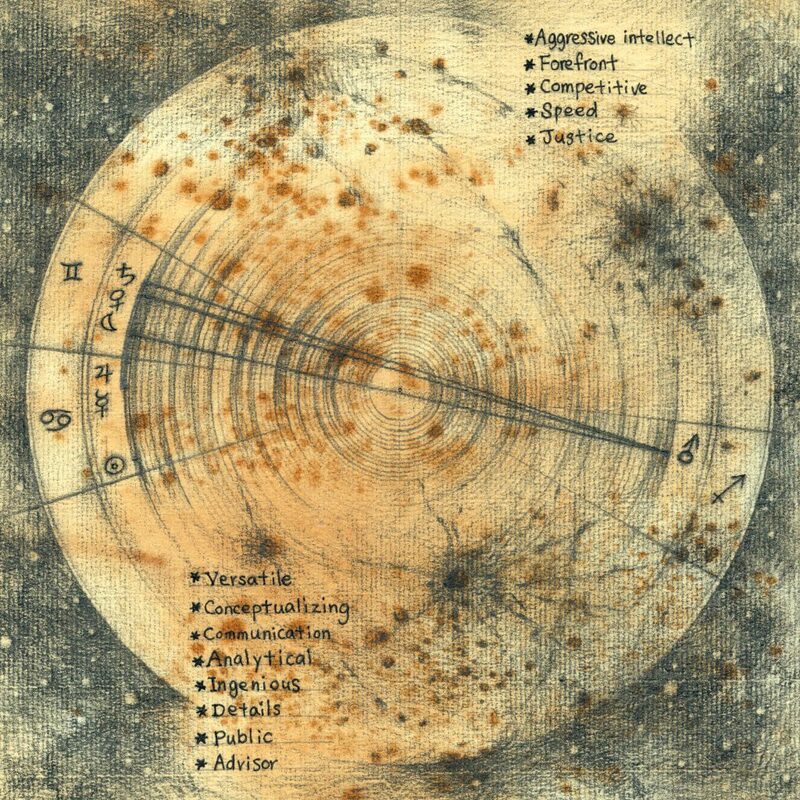 Magalí Arriola, Pete Belkin, Devon Bella, Mariana Castillo Deball, Yin-Ju Chen, Cosmin Costinas, Dexter Sinister, Dora García, Inti Guerrero, Jens Hoffmann, Hou Hanru, Ho Tzu Nyen, Lee Kit, Tony Labat, Jeremy Lewison,Lin Yilin, Barbara London, Marie Martraire, Léna Monnier, Joseph del Pesco, Nataša Petrešin-Bachelez, Sophie Potelon, Rozenn Prat, Jean-Marc Prévost, Pedro Reyes, Lawrence Rinder, Élodie Royer, Sumesh Sharma, Slavs and Tatars, Sandra Terdjman, Hank Willis Thomas, Émilie Villez, Xiaoyu Weng, and Vincent Worms. 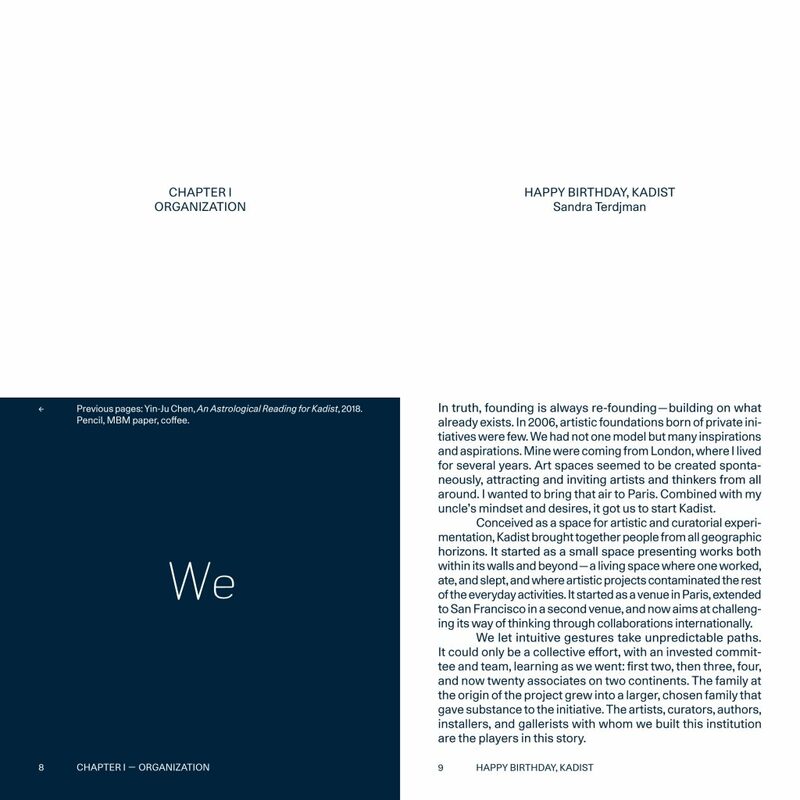 This book is dedicated to all the artists, curators, writers, collaborators who have inspired and built Kadist and in particular to Geneviève Worms.